Josh MacPhee has just released "Pound the Pavement #11". He has been working on this one for ten years, and has just now have pulled all the pieces together. It's a full colour book of graffiti on box trucks. 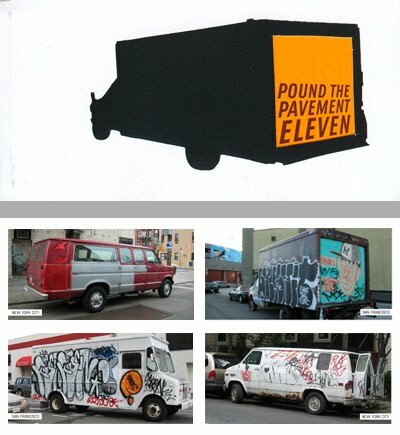 100 photos he has taken of mobile graffiti from 10 different cities between 1997 and 2007 (the bulk from NYC and SF). The book is available online from the Justseeds website for $16.